There’s something special about a restaurant with a view, especially when you’re on holidays. It brings a sense of relaxation and contentment that is hard to top. 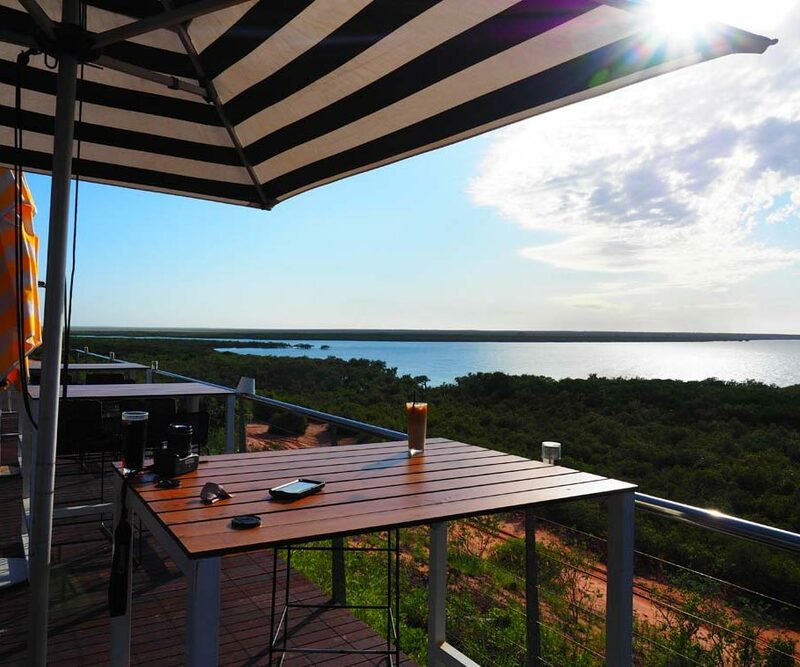 With the Broome area renowned for its sunsets, red dirt and long beaches, there are plenty of opportunities to enjoy the views drink in hand. 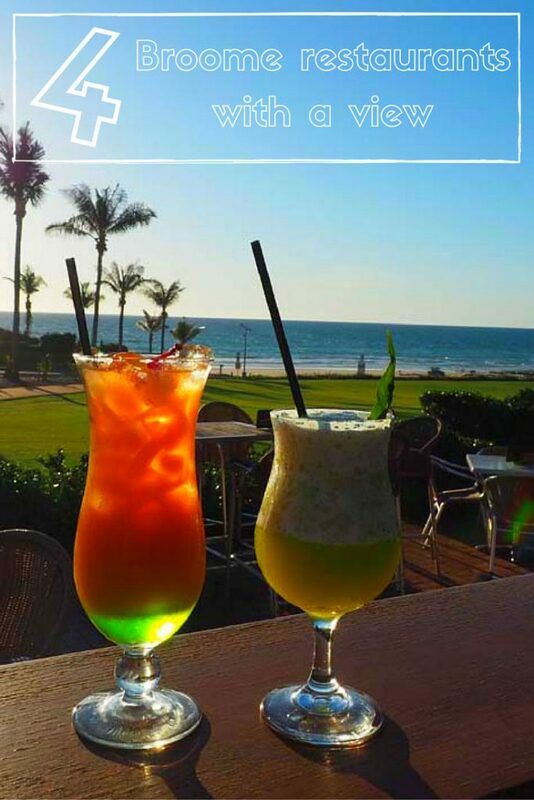 Here are a few of my personal favourite Broome restaurants with a view to add to your holiday itinerary! 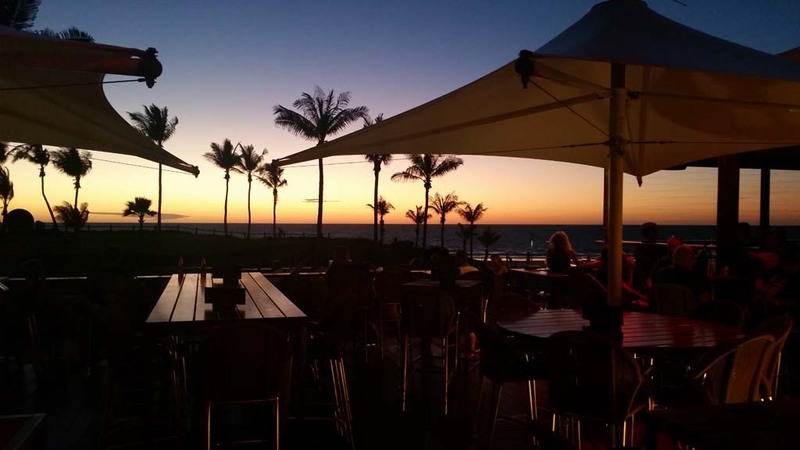 My number one choice of Broome Restaurants with a view is the Sunset Bar & Grill which looks over the beautiful Cable Beach. The view over white sand and aqua water by day and palm tree clad sunsets by night is possibly one of the most famous restaurant views in Australia. Open for Breakfast and Dinner, the Sunset Bar & Grill is a great place to finish a long walk along the beach from Gantheaume Point or to settle in for an afternoon and dinner sunset session. In peak season get in early for a good table as their iconic sunset view is on many peoples bucket list! 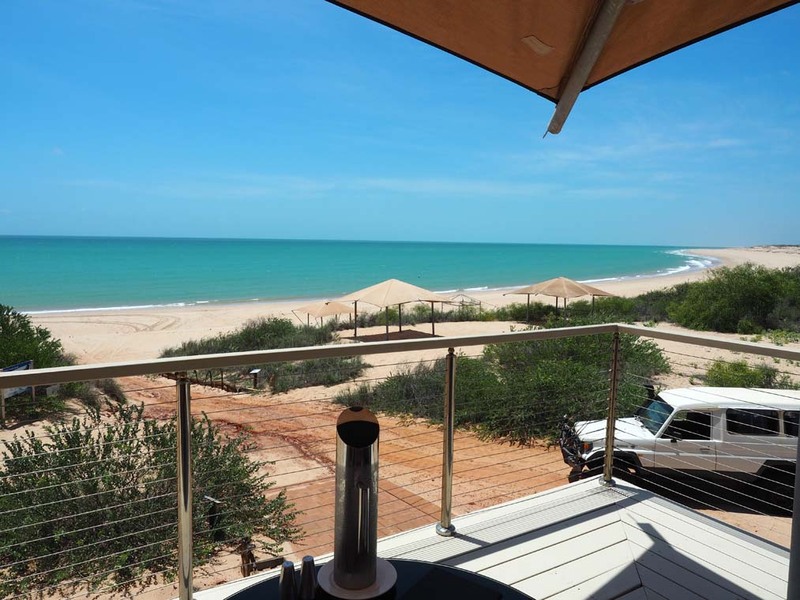 Located a couple of minutes walk from the heart of Broome, the Bay Clubs high position offers the best views in town over Roebuck Bay. To visit from Cable Beach catch the town bus which stops nearby. Do you like a food adventure? Then this is the restaurant for you! To get to Jacks you will need to hire a car* head a 100km down the highway and then venture down 10km of gravel road. After parking up in the visitors car park, you walk down a small coastal road, climb up the steps and it opens up on the view above. That’s when you realise all your effort was worthwhile and you should have booked a week at the resort not just lunch! With water views from verandah and filtered views from the Beer Garden its well worth a visit to Matso’s, one of Australia’s most famous breweries. They serve up tasting paddles with everything from Pale Ales to specialty Mango Beer. Matso’s is walking distance from town or you can catch the town bus to the door if you are staying at Cable Beach Club Resort or other Cable Beach hotels. We didn’t get to check out 18 Degrees but it looks like a its got the beach view cocktail well and truly nailed! 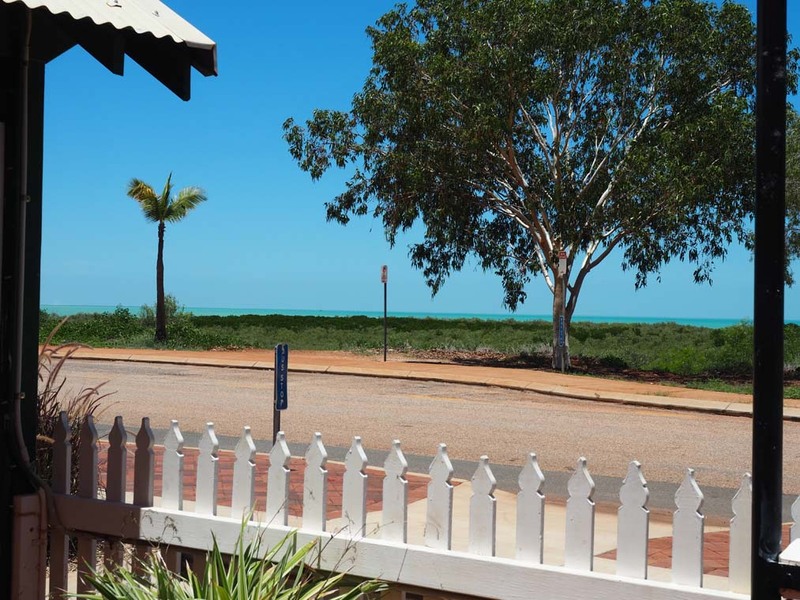 I hope you enjoyed this list of Broome Restaurants with a view! If you think you might visit Broome one day don’t forget to pin this list to your Australian holiday board on Pinterest!